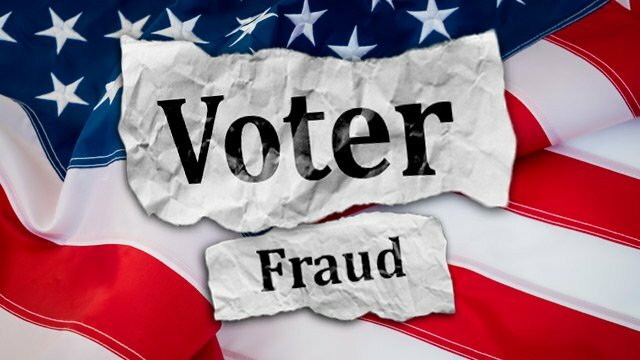 Another election in America, another transparent case of outright voting fraud. The U.S. electoral system is now SO broken that the American people fully expect their elections to be stolen by the Deep State favorite. This is what it has come to, so there’s no surprise whatsoever that the Alabama Senate race was full of fraud and corruption at every level. Not only did the Mainstream Media at the national level attempt to fix the result by repeatedly leveling false accusations against Republican Roy Moore, they published entirely fake poll data at every turn. Let’s face it: there was way too much at stake politically for the Democrats not to steal this election. From their crooked perspective, they simply had no choice if they are to regain a majority in the U.S. Senate. In light of the political calculus in the U.S. Congress, it’s now clear that Deep State will assist the Democrats in every election theft possible between now and the 2018 midterms. How did Deep State steal the victory from Roy Moore? Honestly, it’s much easier to list the things that the Democrats did properly and lawfully in the conduct of this chaotic campaign season and toxic election. Which is ZERO! Nothing! Zip! The Democrats pulled out all the stops as far as fraudulent campaign practices and vote fraud were concerned. When all the evidence is in and evaluated, this election will go down in ‘Bama history as the most rigged of all time. As far as Roy Moore is concerned, his campaign staff was fully braced for this naked election theft. So were the many Republicans throughout the great state of Alabama, as were the many Democrats who flipped during this election because of so much outside interference. N.B. What follows is an analysis of this rapidly unfolding election theft by former NSA employee and freelance investigator Jim Stone. It’s a play-by-play account well worth considering. Moore has called for a recount but the court order I mentioned earlier still gives election officials permission to destroy the ballots, and prevent a recount that way. YOU READ THAT RIGHT!!! I WILL REPEAT: Even if Moore requests a recount, it can be blocked by election officials simply destroying the ballots before a recount can happen! GTFO!!! As it turns out, write in votes were all going to Moore and they suddenly flipped for Jones. This has triggered official suspicions that the election was stolen. Add to this the fact that purely black areas suddenly stopped turning in enough votes to push Jones way ahead once he was a little bit ahead makes things look very suspicious. It was obviously calculated, and not a legitimate count. There are rumors about the write-in ballots being thrown out due to the obvious tampering. At latest reporting that I have seen, Moore is only 4,000 away from Jones. An impossible razors edge. If the write-ins that got stolen are discarded, Moore will win, but there will still be an automatic recount. How that is managed will determine it all, if the ballots are still present and there are enough witnesses, major fraud may get busted. QUESTION: How does Moore stay at an equal percentage away from Jones when ONLY Democrat area votes are being counted, all the way up the last 14 percent of votes? YOU GUESS! Obviously, even a majority of Democrats voted for Moore, and they did not allow Moore even that part of the vote. Nothing in this for me is “suspicious”, it was outright fraud. Let’s see how a recount called tonight affects that court decision to allow the ballot records to be destroyed. As I predicted, they stole it by 1 percent. Actually, it’s worse. They stole it by 1.04 percent, because if it hit one percent there would have been an automatic recount. If the election fraud does not stop, the only thing we can possibly do is plot an overthrow of the present corrupt system. That is absolutely the only way things can be made right when it is impossible to get a fair vote count. REALITY: Moore 70, Jones 30. The steal may ram a fraud down our throats, but it won’t change the way the people really voted. There is a cold, hard reason why the Alabama Supreme Court issued a special ruling to allow all ballots to be destroyed by morning, and we just saw it. IT IS OVER, THEY ALREADY STOLE IT. MOORE LOST. Jones picked up 50,000 votes in one burst, during which Moore picked up zero. They are flat-out stealing it. Most likely they are not counting ballots at all. There is a reason why the Alabama Supreme Court stepped in and said all ballots could be destroyed before morning. And we just saw it. Here is proof they are rigging it. With 68 percent of the vote counted, Moore had 53.5 percent and Jones had 45.1 percent. Then, with 71 percent of the votes counted, Moore had 51.6 percent and Jones had 47 percent. It does not work that way. The percentage of votes for a particular candidate cannot swing so much over such a small percentage. There is definitely a steal going on. MOORE WILL DEFINITELY LOSE TO ELECTION FRAUD. UPDATE: The Alabama Supreme Court stayed Montgomery County Circuit Judge Roman Ashley Shaul’s order to “preserve all digital ballot images” in Tuesday’s hotly contested special election for Alabama’s vacant U.S. Senate seat. REASON: BECAUSE THEY CAN NOW GET AWAY WITH STEALING THE ELECTION, ALL THE BALLOTS WILL BE DESTROYED BEFORE MORNING. IT IS NOW RIDICULOUS TO BELIEVE MOORE MIGHT WIN, BECAUSE THEY HAVE SCAMMED THE ELECTION TO WITHIN THE RANGE THEY NEED TO STEAL IT. The actual vote is somewhere around 70/30. If they have scammed it down to 52/47 they will DEFINITELY, WITHOUT QUESTION finish stealing it. UPDATE: ROY MOORE WILL LOSE. They have already rigged the vote down enormously, and have it within the percentage range that will allow them to steal it during the night. When you wake up tomorrow, Moore will have lost by about 1 – 3 percent. DONE DEAL. We cannot have fair elections with Deep Staters doing all the counting (and yes, they do) they worm their way into these positions over time and are well paid to do it even if it is “volunteer”. Watching the trends going on now, Moore absolutely will have it stolen, and will therefore “lose”. The only way out of the situation we are in is probably a civil war. A PROPERLY DIRECTED civil war. Yes, Trump may drain his neighborhood but the problem permeates out to the state and local levels, and beyond just the government. This will not be overcome without a war. There is a reason why America’s elections are always so close. That reason is because Deep State only rig them barely enough to win, because with everyone in the break room saying they voted for the loser, they simply can’t get away with rigging it more than that. From what I can find, there is record turnout and even blacks are voting Moore. They are seeing through the media manipulative crap. But there is a problem, and that is that the media is continuously pushing that it is a close race, when really it is approximately 70 percent Moore. That means they are very likely to steal this. Trump can’t afford to lose Moore, and the Left can’t afford to have Moore get in. Since leftists predominantly count the votes, whatever they do will be balanced only by what they believe they can get away with. Clearly Moore took this election. Whether or not the vote counters allow that is yet to be seen. There is no real democracy when the elections nationwide are routinely fixed and stolen. The authenticity of a constitutional republic relies on the absolute integrity of the electoral process. Without fair and fraud-free elections, the American Republic is essentially an illegitimate state entity. Therefore, We the People are compelled to take back our power from the Deep State usurpers who have systematically stolen it over many decades. Likewise, the electorate is obligated, as per their civic duties, to stand in their newfound truth and speak that truth to power like never before. Let’s get busy! Before the midterms are also rigged and Deep State completes it ongoing coup d’etat against a sitting POTUS.